MoreAfter ten years of service in the United States Air Force, including recognition for his skills with a Joint Service Commendation Medal and a Joint Service Achievement Medal, Ryan Branch received an honorable discharge and moved into his second career. Ryan received his bachelor's degree in 2012 in Real Estate Finance and Development from the University of Texas at San Antonio and was honored as a top student in the Business School. Ryan then attended the University of Houston Law Center...After ten years of service in the United States Air Force, including recognition for his skills with a Joint Service Commendation Medal and a Joint Service Achievement Medal, Ryan Branch received an honorable discharge and moved into his second career. Ryan received his bachelor's degree in 2012 in Real Estate Finance and Development from the University of Texas at San Antonio and was honored as a top student in the Business School. Ryan then attended the University of Houston Law Center, graduating in 2016. While in law school, Ryan concentrated his elective studies in the area of criminal defense and trial advocacy. Ryan's passion about protecting the rights and privileges granted by the United States Constitution make him an outstanding advocate for individuals. 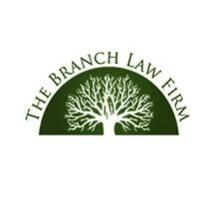 Ryan Branch is a disciplined, focused, and tireless advocate for his clients and their children. He uses his attention to detail and analytical skills to examine the evidence and to craft legal arguments to preserve and protect his client's rights. Ryan Branch has a reputation for being a hard worker. He maintained an exceptional GPA in undergraduate and law school while working full-time. The combination of discipline, intelligence, training with an unbeatable work ethic makes Ryan Branch the attorney you want on your side.